Camping not for you? Think again! 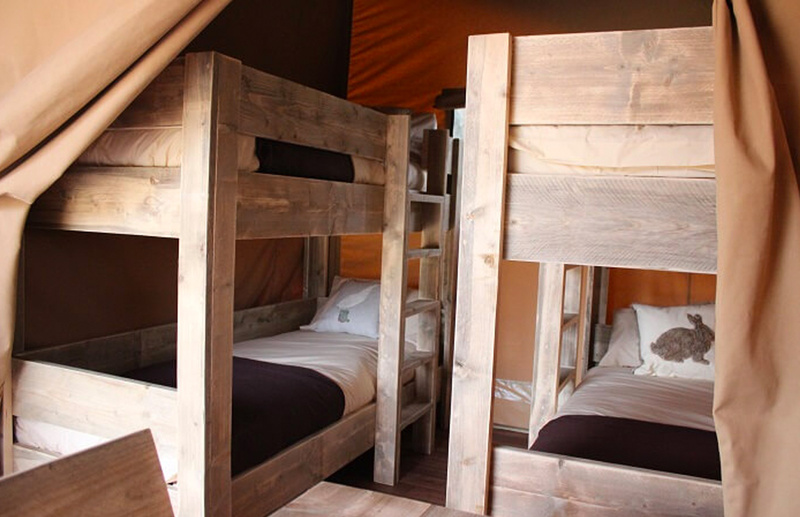 We've tested the new Safari Tents! As a Manager at Sandy Balls, I was slightly apprehensive when I was asked to stay in one of our new Safari Tents so I could fully experience the unique experience they offer. 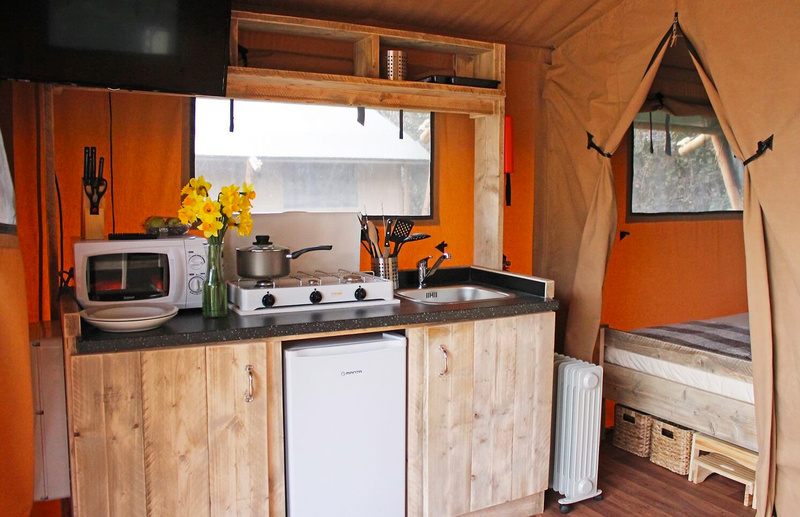 Don’t get me wrong, they look amazing, but as mum to a toddler, and someone who hasn’t camped for many years, I much prefer the comforts of a lodge and have happily lived without the adventure of camping for some time now. We arrived after work on Friday with friends and quickly realised we didn’t need half of the things we had brought with us as literally everything is provided! We had planned a BBQ on the Friday evening so the kids were soon happily running around and exploring whilst we cracked open the Prosecco and got dinner cooking. It was so peaceful and lovely being outside and everything is nice and safe, even for toddlers. We could relax and give our daughter the freedom that you don’t find in many places when you are travelling with a nearly 2 year old. You could hear birdsong and families laughing and playing together, both wonderful sounds. After a relaxing evening playing cards on the veranda and catching up, the beds were a welcome comfort and we all got a great night’s sleep. The kids even slept in until 7.30am which was an unexpected treat. Next came the part I was most apprehensive about. The shower blocks. Now to most experienced campers, this is just part and parcel of camping but I didn’t relish the thought. I of course knew we had won many awards for our touring facilities but I was still pleasantly surprised at how lovely and clean and toasty warm they were with lovely hot showers and a lovely clean bath for the little ones. There were areas to hang up clothes whilst showering and hair dryers and shelves for placing all your possessions whilst getting ready. By now I was relaxing into it and realising camping may be for me. With electric lighting in every room in our tent, and a heater (that we didn’t actually need), we didn’t need to worry about the elements. Cosy warm duvets ensured we all had a lovely night’s sleep and the kids loved the bunk beds. We even managed to fit a travel cot into the double bedroom so our daughter didn’t need to sleep in the lounge as originally planned. Saturday was packed full of activities. Forest Caching in the morning, swimming in the afternoon and a great Clay Play session to finish off. We had a delicious dinner in the Forest Table before heading back to our tent for another evening of relaxation on the terrace. I was officially enjoying camping! 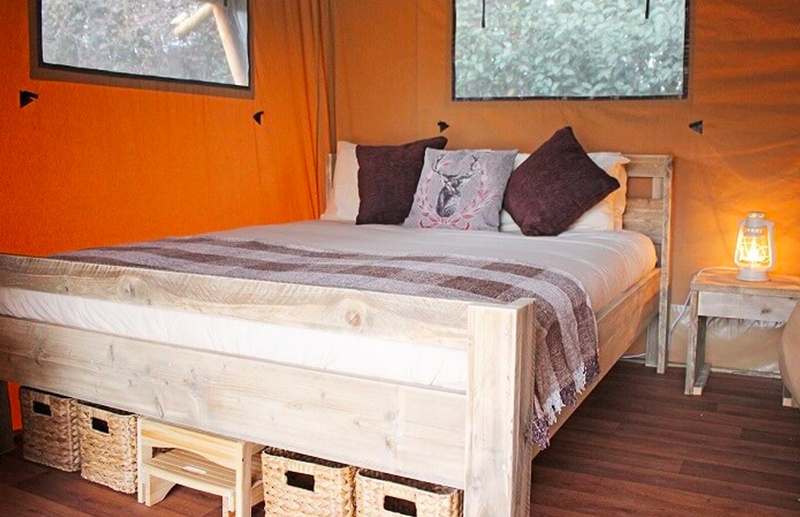 The Safari Tents are just perfect for families that want the relaxed, outdoor adventure that comes with camping in the great outdoors, but don’t have the time (or inclination) to buy all the equipment, spend hours packing up the car and setting everything up. You can simply rock up and enjoy! Are You Going to the 2016 Mersea Regatta?